Well, here's the thing about this game... None of us remotely knew each other at the time of its relevance. You may be going "duh" in response to that but most of us have known each other for so long that the years start to bleed together. Unlike the first one, Super Smash Bros. Melee had an opportunity to be "current" for an extended period of time (including even after the release of the following Smash). 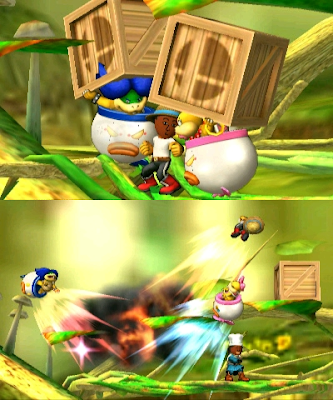 We never played it against one another, but you can bet it influenced some pre-KoopaTV creative content. If not for Ludwig, Fire Emblem: Path of Radiance music wouldn't have been in that first video because I wouldn't have played Fire Emblem: Path of Radiance. The second video wouldn't have happened at all. Also, Ludwig wants me to bring attention to the fact that yesterday as of the publishing of this article was "Wombo Combo"'s tenth birthday. "Luddy"'s Wii freezing right after winning a match against me and two other dudes. Like I said, I (ironically enough) wasn't really feeling it. Still, this is historically the KoopaTV™ Smash Brothers, and its assets were used alongside Mario Kart 8's to produce some good audiovisual content for articles even if we hardly at all played these games with each other. "Anything for the good people of Sierra Leone!" With any luck Kamek and Wendy will stream this, and with Wendy making some sponduli off it since that's what she plans to do. I have faith Ludwig, Witch, and friendly neighborhood non-staffer Ryudragon will support their efforts. Meanwhile, hopefully I don't take so many damn Video Captures that when it comes to applying them to creative projects I won't even know where to begin. But hey, I think that's that the definition of a good problem to have! December 7th is here, guys. Let's roll. This is Rawk's sixth article in a row and his sentence-formulation juices are now drained. Expect no more articles from him, and if he's dead next week then it's because his creative liver went on a suicide mission or something. How are the staff rolling after the weekend? Find out here, including more video capture woes! 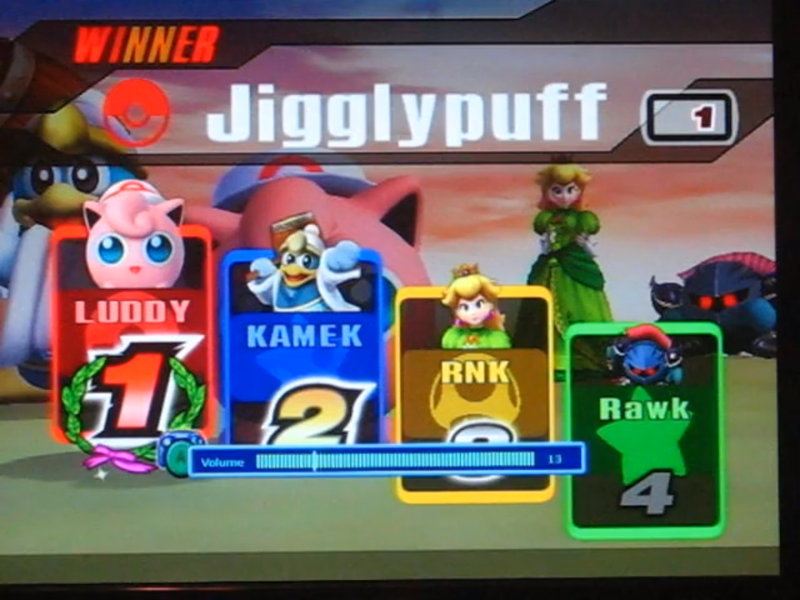 Super Smash Bros for Wii U is how I met Ludwig and then this site via his ingame tag for some of our matches. We were in Team Battles and I was spamming Splatoon related names at the time. I do not think we ever got into a team together, always against each other.